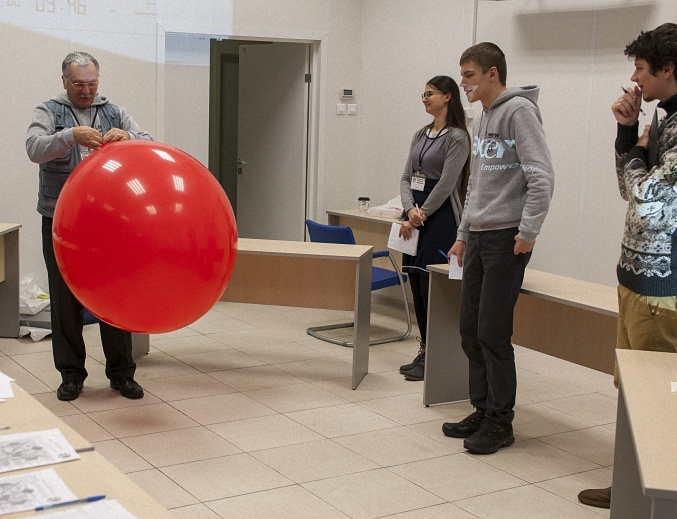 1The All’Russian Physicsts’ Tournament 2015 took place at Moscow Institute of Physics and Technology (MIPT) in Dolgoprudny, Russia from 28th November till 03rd December 2015. Seven teams from 6 universities have fighted for a possibility to represent Russia at IPT 2016 in Paris, France. In the finals the team from Voronezh has won with a tiny difference of 0.4 points the right to fight for Russian physicists at International Tournament. The organizing committee is grateful for the MIPT university which hosted and financed the Tournament and for our general sponsor, ABBYY. The photo from final captains competition. From left to right: Serghei Varlamov, AllRussian PT President, Julia Zotova, Vahlov Daniil and Breev Jakob, captains of the MIPT, VSU and NARFU teams. Congratulations to Voronezh team who successfully participated at IPT 2016 in Paris and obtained the 3rd place in the very final of it!